Studio size – 23′ x 16′. 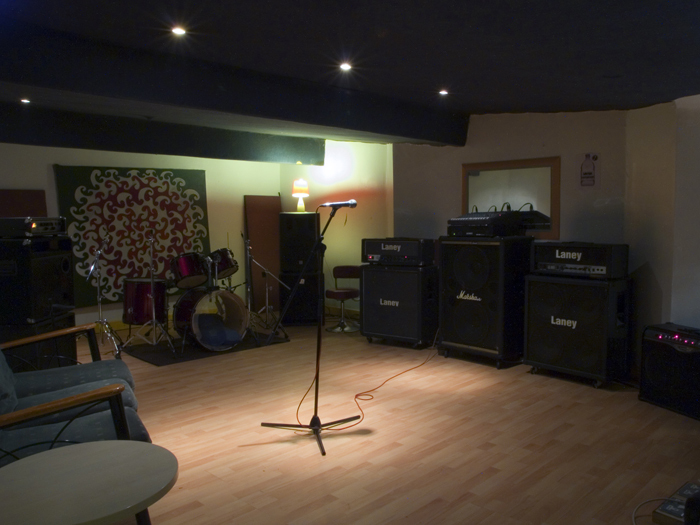 This studio is suitable for all types of bands. Studio size -17.5′ x 16′. Studio size – 17′ x 14.5′. All prices include basic Drum kit, 2 guitar amps, 1 Bass amp, P.A & Microphones. 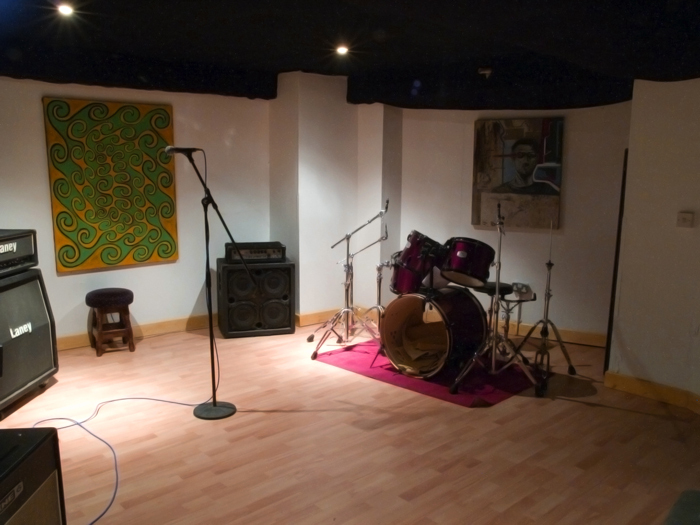 €240 per month 8 x 4 hour daytime sessions (two per week). 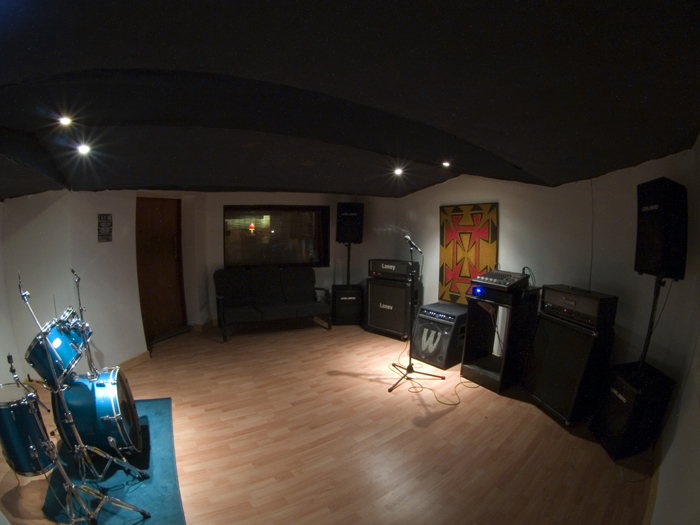 €320 per month 8 x 4 hour evening sessions (two per week). 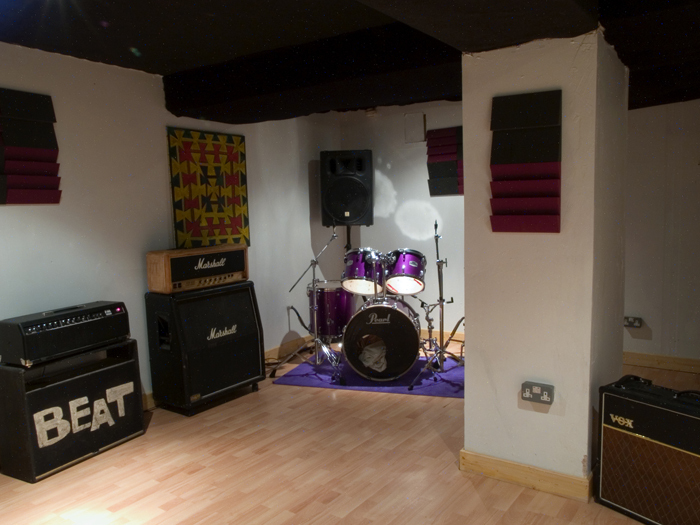 All our rehearsal suites come fully equipped with full backline included in the session price…no hidden extras. Artists need only turn up with their instruments and play, practice, jam or mosh! The large selection of backline includes well-known brands such as Vox, Gallien & Kreuger, Shure, Sennheisser, AKG, Warwick, Hughes & Kettner, Laney, Ampeg, Line 6, Marshall, Fender, Pearl, Dynacord, HK,, Yamaha and Carlsboro. Just ring ahead in advance if you have any preference for backline and we’ll make sure it’s in the room for you when you arrive. For the drummers we don’t supply cymbals…sorry guys they do take a hammering! But we will supply a snare and bass drum pedal free of charge so you’re not knocking over people coming in on the bus with all your gear! Just make sure to reserve it when you make your booking. With pro-audio repairs Ltd on site and working as our in house technicians we can guarantee that all our equipment works, unlike other studios who just claim it. If however an issue occurs with a piece of equipment you can inform a member of staff and a replacement will be given to you immediately, no waiting around and straight back to jamming. We take pride in our service and the customer always comes first. That’s why we don’t operate a cancellation fee unlike other studios. We understand that life can get in the way of rehearsal sometimes so just ring and cancel if you can’t make your session. Some notice is good but if your drummer falls off his grannys shed roof we’ll be understanding and may even send him a get well card if he’s in hospital! If you want to chill out and relax in between jamming we have a roofed and walled garden/smoking area which we share with abbey court hostel…who knows you might even make some international fans (a lot of our bands have done). If you fancy having a relaxed beer there’s a chilled out bar upstairs…it’s bring your own beer but the vibe there is great!